A peachy romance. 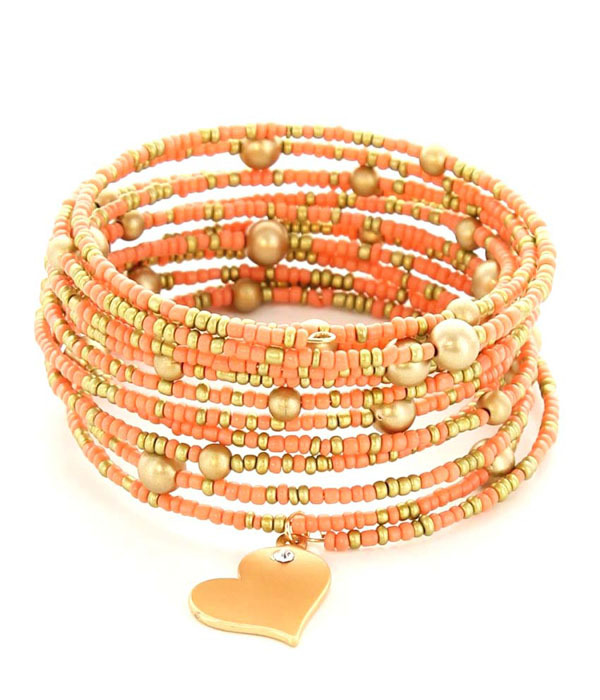 The Marilyn bracelet slips onto your arm in a wire wrap-around design, embellished with a mixture of matte peach and gold seed beads and finished with a crystal-studded heart charm. Pair it with bronzed and glowing skin. If you love fashion jewellery make Oz Bling your one stop online shop for all styles, fun, formal, chic or unique!